Recently, Dr. William T. Gray and Dr. Fernando J. Colato, physicians with Central Texas Heart Center, performed the first cardiac Balloon Valvuloplasty procedure in the region at St. Joseph Regional Health Center (SJRHC). This first procedure was performed on 88 year-old patient who has lived with a heart murmur all her life. She was hospitalized repetitively for congestive heart failure resulting from the severity of her valvular disease prior to the procedure. Her health also began to fade following a long illness and this procedure was determined to be the answer for improvement. Following the procedure, the patient’s health did improve and she has not returned to the hospital. Since this first procedure was performed, several other patients have also undergone the procedure, all with positive outcomes, indicating that there is a need in our region for this particular procedure. This procedure is typically performed to open a heart valve that has become stiff and narrowed. It is helpful to prevent repeat hospitalizations in patients who are not candidates for traditional valve replacement surgery. Additionally, valvuloplasty can be used as a bridge until surgery can be done for a patient who is too sick to have open-heart surgery. In valvuloplasty, a very small and narrow hollow tube, or catheter, is inserted through a blood vessel in the groin through the aorta and into the heart. 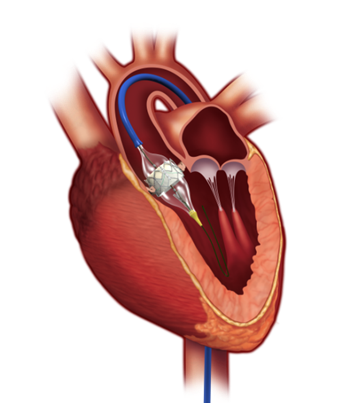 Once the catheter is placed in the valve to be opened, a large balloon at the tip of the catheter is inflated until the flaps of the valve are opened. After the valve is opened, the balloon is deflated and the catheter removed. The problem is, many of those elderly patients are too sick or too weak to undergo traditional open-heart surgery, so up until now, they had no choice but to deal with the symptoms. In addition, those patients are often readmitted to the hospital frequently. Congestive heart failure is the number one reason for re-admittance. As the region’s leader in cardiac care, St. Joseph is always working with physicians in our community to identify new and innovative ways to meet the changing healthcare needs of our patients. SJRHC was the region’s first Accredited Chest Pain Center and currently has the highest level of accreditation in the Brazos Valley. In addition to hospital procedures, St. Joseph offers the only Accredited Cardiac Rehab program in the community, and a dedicated heart failure clinic specializing in the treatment of heart failure patients. Established in 1936, St. Joseph Health System is a faith-based, not-for-profit health system that is operated by Catholic Health Initiatives. With five hospitals, two long-term care facilities and numerous family medicine and specialty clinics, St. Joseph continues to carry out its original mission to provide excellent healthcare.